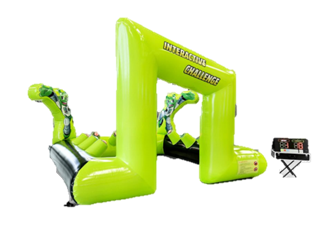 Our *NEW* Ultimate Light Blaster Challenge game is great for all ages! To play this interactive game 2 opponents race to hit one of 2 color light pods as it displays around the 10 different cones at random times. The one with the most points wins! !